49 North Brook Street Geneva, NY. 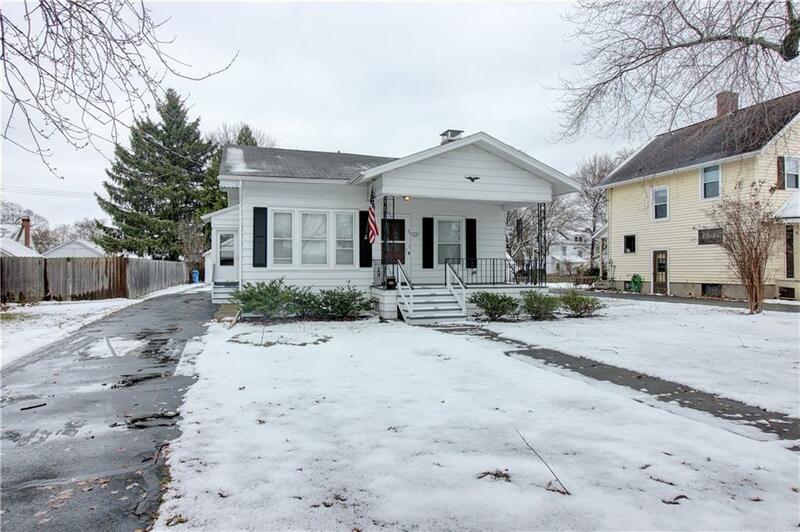 | MLS# R1162361 | Coldwell Banker Finger Lakes | 315-789-6768 | Geneva NY Homes for Sale, FINGER LAKES PROPERTIES, Seneca Lake, Cayuga Lake, All of the Finger Lakes. Charming ranch style home located in Castle Heights neighborhood in the City of Geneva. Home consists of two bedrooms, 1 full bathroom, living room, formal dining room and kitchen. Walk up attic has potential to be finished as more living space. You will love the character of the hardwood floors and wood burning fire place. Property has plenty of parking and a large two car garage with new electric door that can be opened with an app on your phone. Directions To Property: From North Street Turn On To North Brook Street, Home Will Be On Your Left.